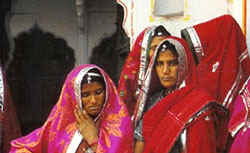 A comprehensive journey through some of Rajasthan's most popural attractions, undertaken at leisure. 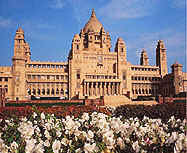 Day 1 : Begin journey at Delhi, driving to Agra the city of the taj Mahal. See Sikandra , taj Mahal, Agra fort and Itmaduddaulah. Relaxed morning, or visit Taj Mahal again, after lunch leave for Bharatpur , visiting the abandoned Mughal city fo fatehpur Sikri en route. 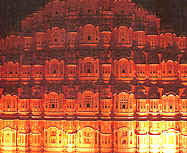 Your Rajasthan experience begins at bhratpur. Day 3 : Early morning, visit the bird sanctuary. After breakfast, leve for Jaipur, Afternoon free in Jaipur. Day 4 : Full day sightseeing fo City Palace, Amber Fort, and other attractions. 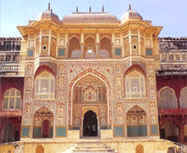 Day 5: Drive to Nawalgarh via samode, spend the rest of the day sightseeing in Nawalgarh and other painted towns of Shekhawati. Day 6 : Drive to Khimsar a village with qa fedal home as your abode for the night. Day 7 : Leave for Jaisalmer, visiting Osian enroute. Day 8 : Walk around Jaisalmer fort discover its amazing havelis, visit the Jain temples. a visit to sunset point at dusk is recommended. Day 9 : Leave for Jodhpur, Afternoon free to relax. Day 10 : Full day's sightseeing at Mehrangarh fort, Jaswant thanda, Mandore and the bazars of the old city. Day 11 : Drive to Kumbhalgarh, visiting the temples at Ranakpur en route. Day 12: Morning to be spent at Kumbhalgarh fort, Afternoon drive to Udiapur where a boat ride awaits you. Day 14 : Drive to Chittaurgarh and spend time till lunch exploring tis ruined attraction afternoon leave for ajmer.